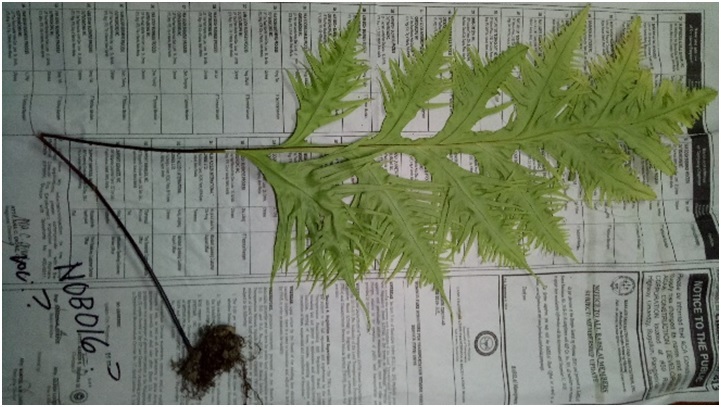 These photos are of a fern from Los Tilos, La Palma. 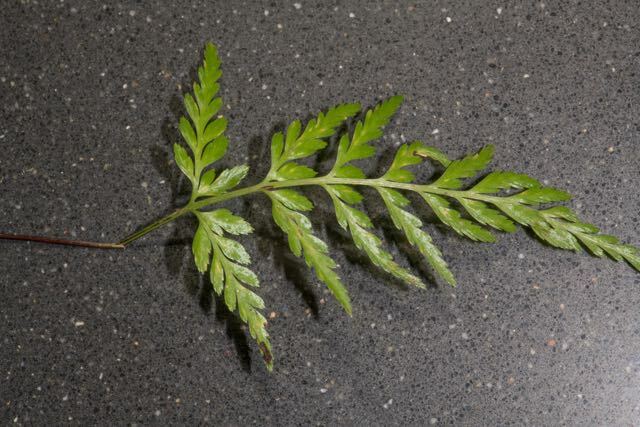 Any help with identification would be much appreciated. 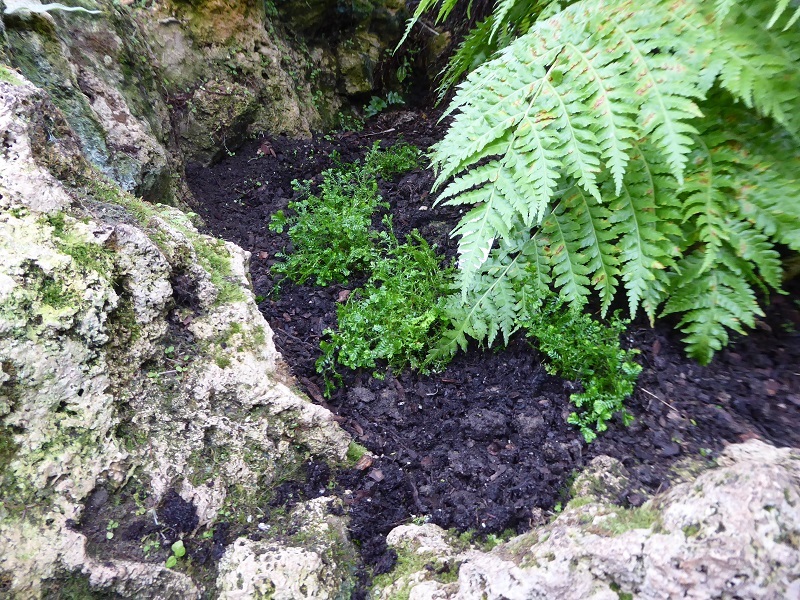 It has been an eventful couple of weeks at the Fernery – we have cleared more planting pockets, put in some new plants, coped with heating pump failure, become ‘Dementia Friends’, and hosted a party of BPS members seeing the Fernery for the first time. We were lucky that the weather has so far been quite mild for November, as the pumps on both of the heating boilers were found not to be working. 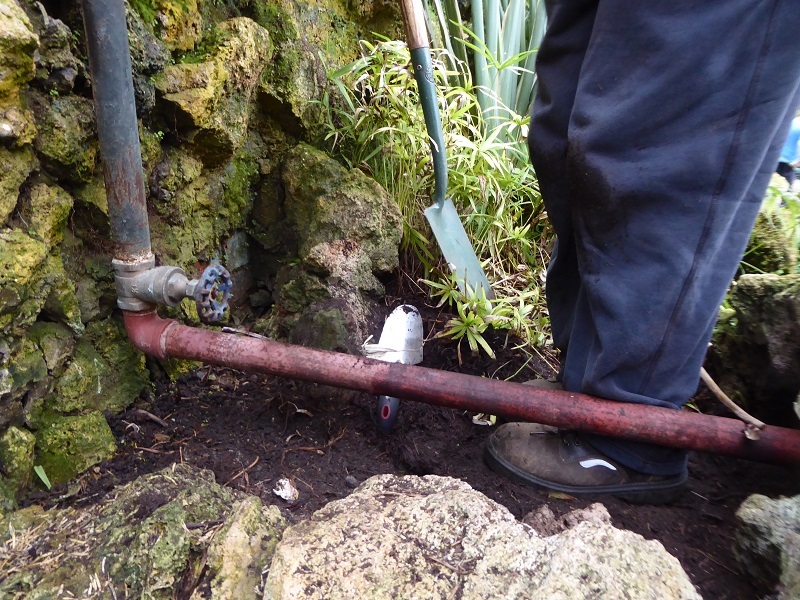 Electric greenhouse heaters provided by the Botanic Gardens Community Association (BGCA) helped to keep the minimum temperature at 8 degrees C or above, and the pumps were replaced last Friday. 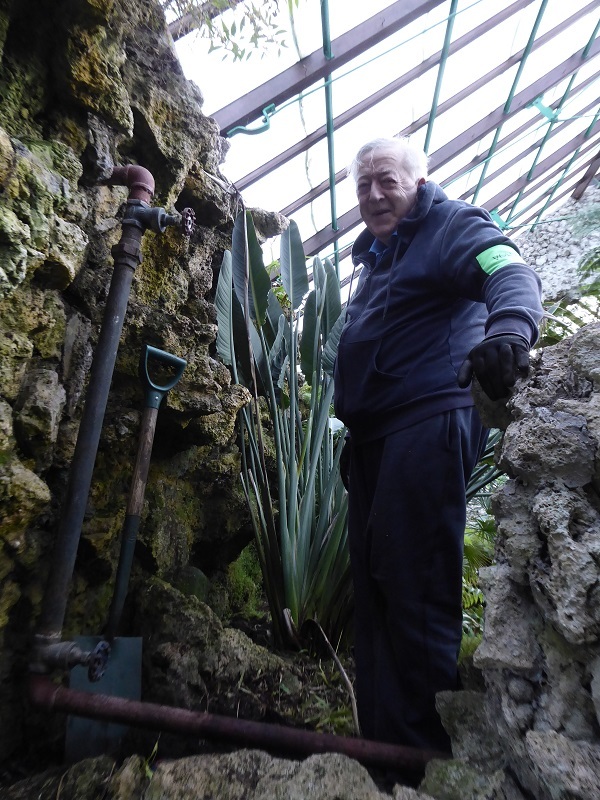 Clive has been hard at work clearing out the Cyperus from the pocket at the North East end of the Fernery, and Joan has finished clearing the pockets around the wishing well. Michael has donated several Davallias and Selaginellas that seem to be settling in well. 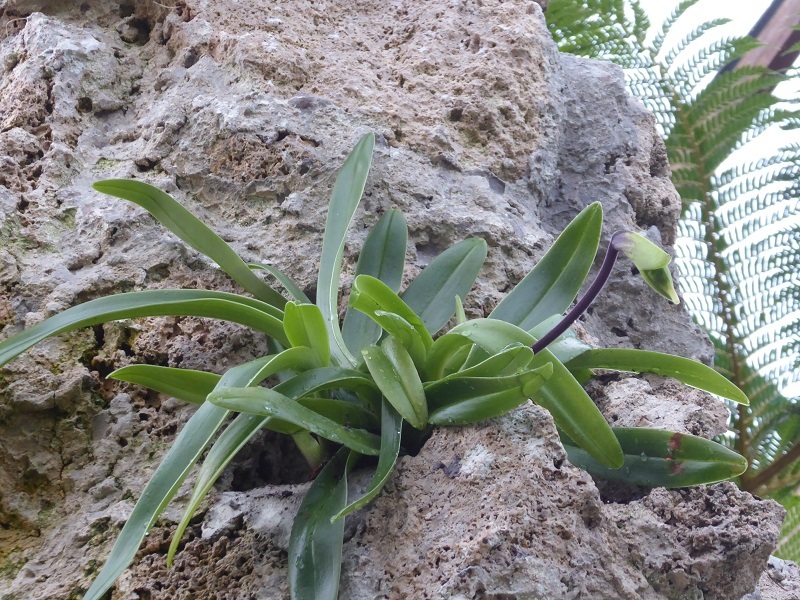 A gift of two Paphiopedilum insigne plants from Henry Folkard has expanded our small orchid collection. 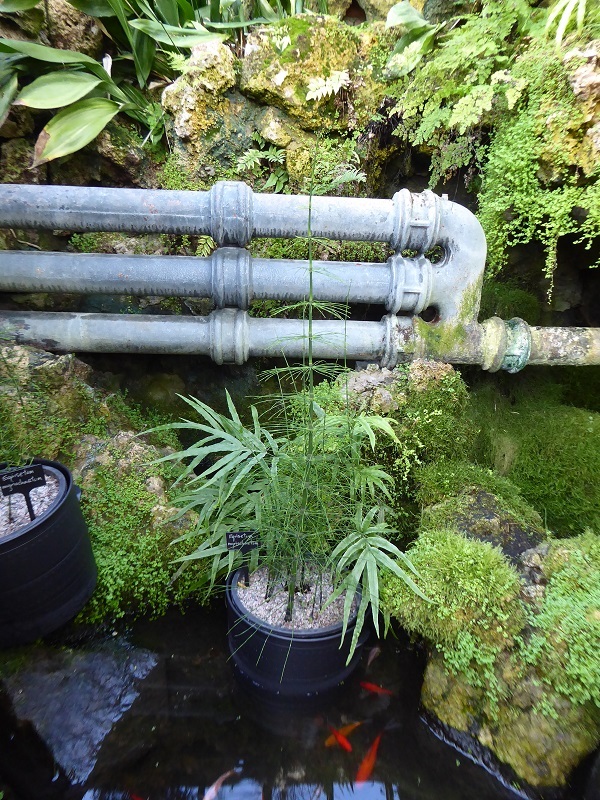 On Sunday we were pleased to add two plants of the giant horsetail Equisetum myriochaetum to the collection. Last Wednesday there was an extremely useful ‘Dementia awareness’session in the cafe, and several of us became ‘Dementia Friends’. 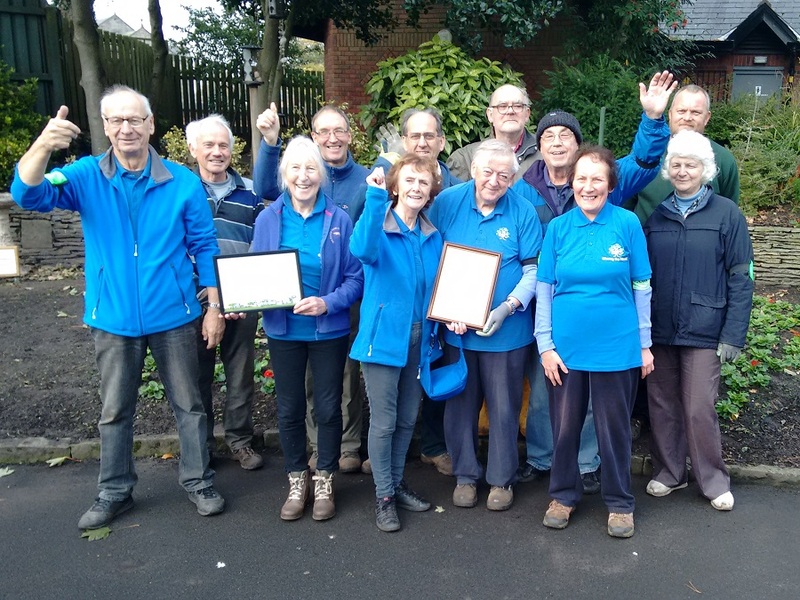 The Community Association is well placed to help improve the lives of people living with dementia by helping them to access and enjoy the park. 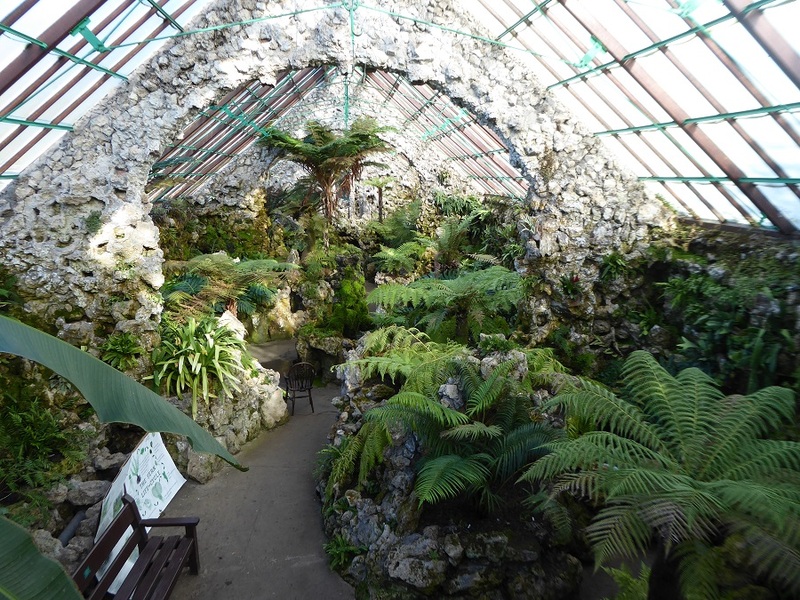 The Fernery is a wonderful tranquil space, and many Southport residents have fond memories of it from their childhood. Sandra is putting together a ‘Memory Box’ of objects that will also help people remember their younger days and provide talking points. 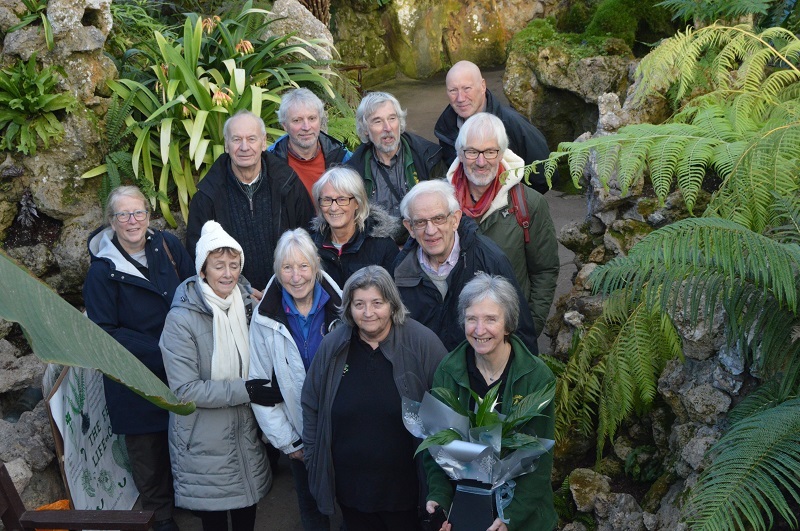 On Sunday morning, BPS members from Scotland, Wales, Cornwall, and London visited the Fernery. Alison and Michael were taken by surprise when David Cobham, Chair of BGCA, made a speech and presented gifts as a thank-you for help in the Fernery. Very much appreciated! 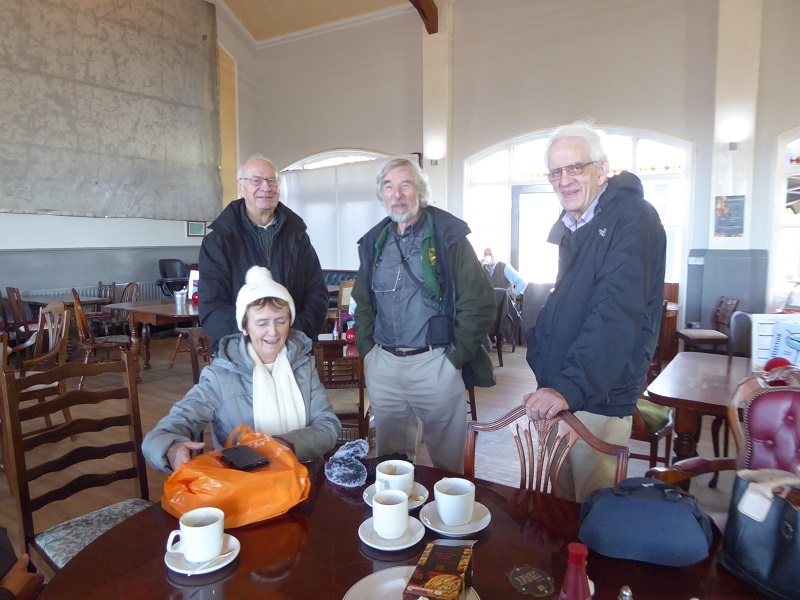 After that we gathered in the cafe for hot drinks and biscuits, and a good natter. 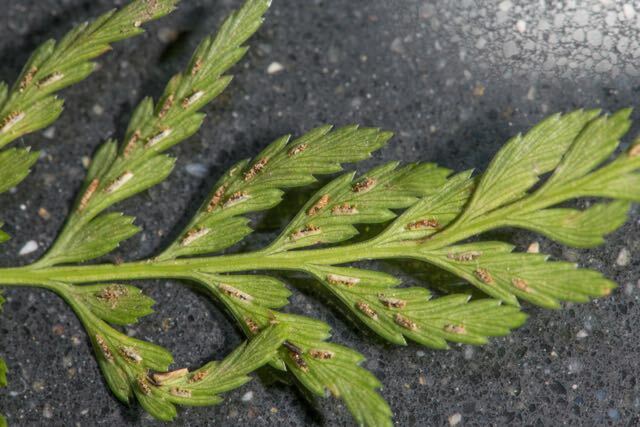 Last week I was looking for images of Cystopteris alpina spores on the internet, and couldn’t find any on a couple of Google searches. 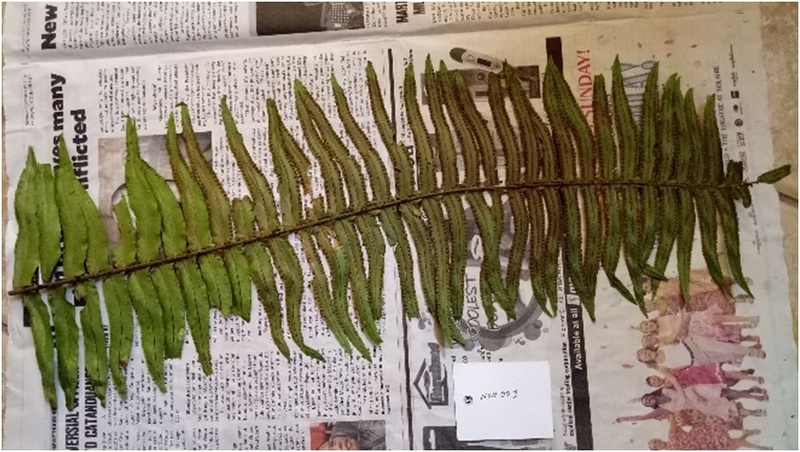 Fortunately a plant of Cystopteris alpina in the greenhouse had some mature spores, so I was able to create my own images. 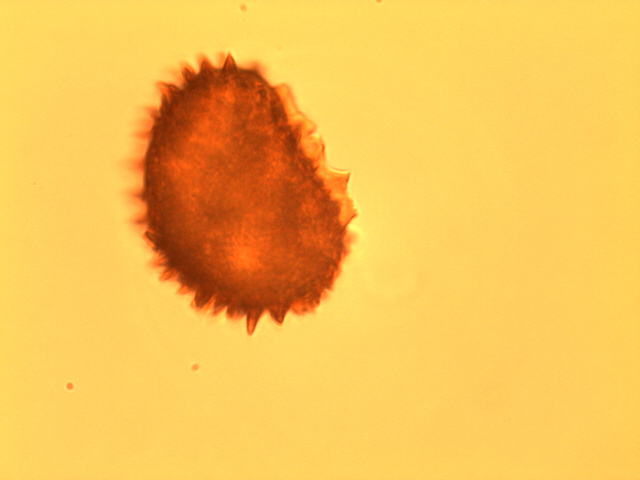 These are taken at x 1,000 magnification – when the depth of field is very small. 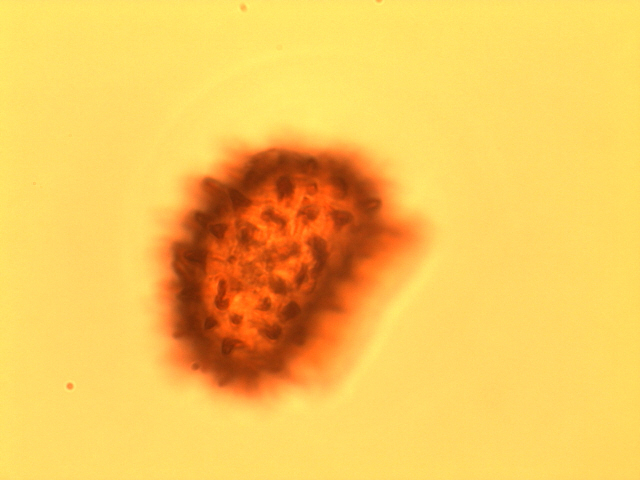 This means that either the projections around the spores are in focus, or the surface of the spore is in focus. 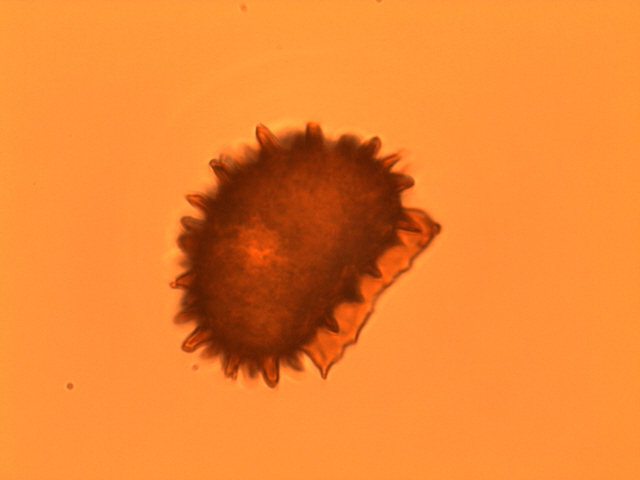 What surprised me a bit was the very pronounced linear projection on the ‘inner’ curve of the bean-shaped spores. 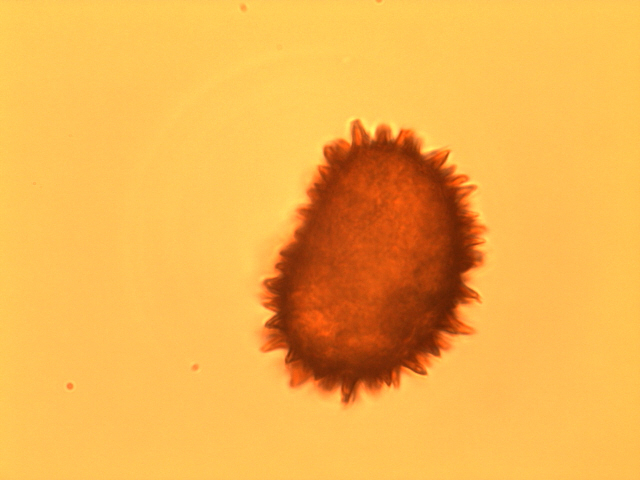 This is only visible if the spore is in the right orientation, and it seems to be quite variable. 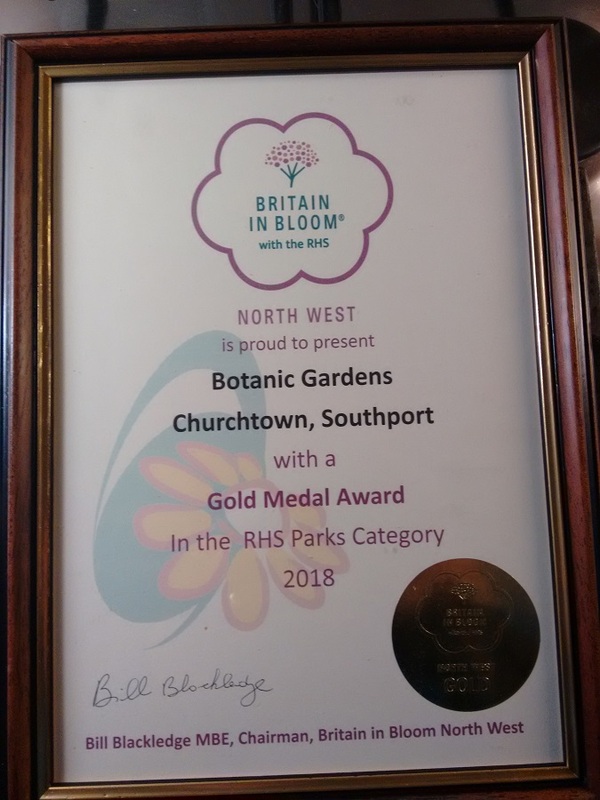 The team at the Churchtown Botanic Gardens are delighted that the RHS Judges of North West Britain in Bloom have awarded the park a Gold Medal. 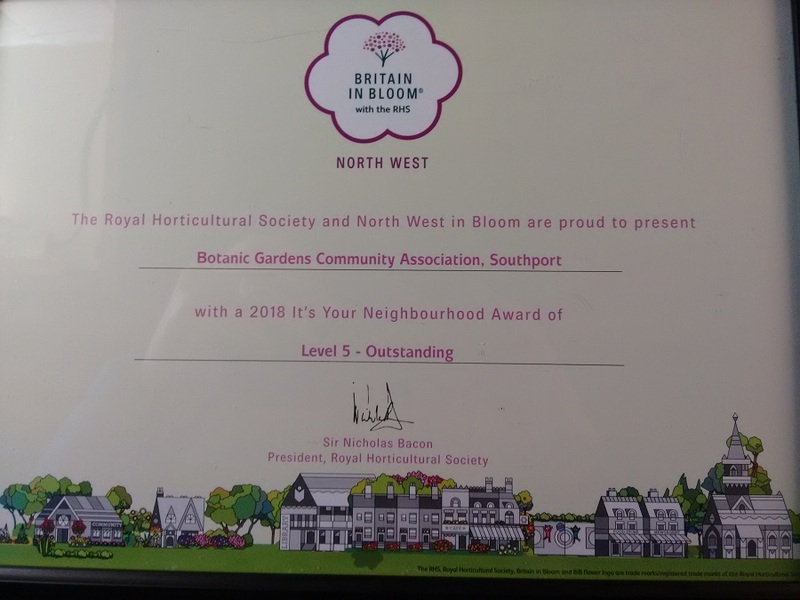 The Botanic Gardens Community Assocation have also been given the highest level, ‘Outstanding’ in the ‘It’s your Neighbourhood Award’ from the Britain in Bloom RHS judges – for the 5th year in succession. 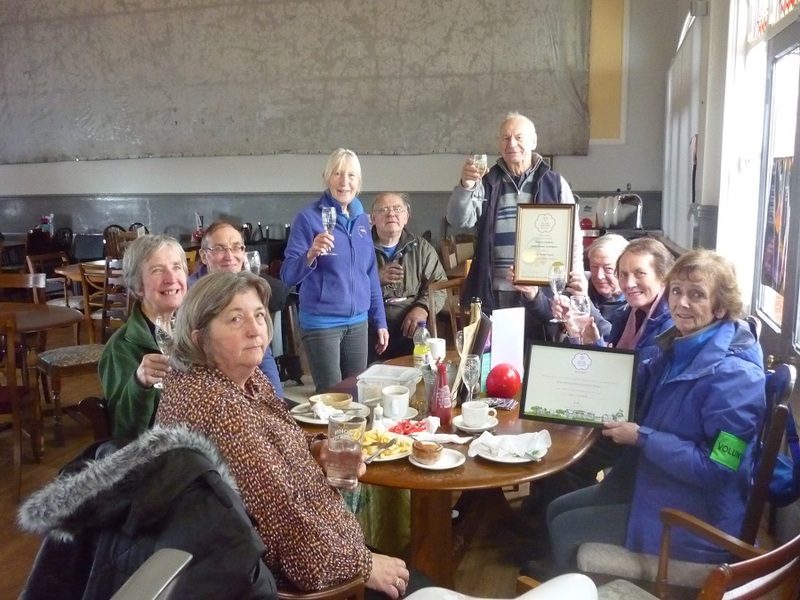 So last Friday the volunteers got together for a little celebration in the Settle Inn, which is next to the Fernery in the park. 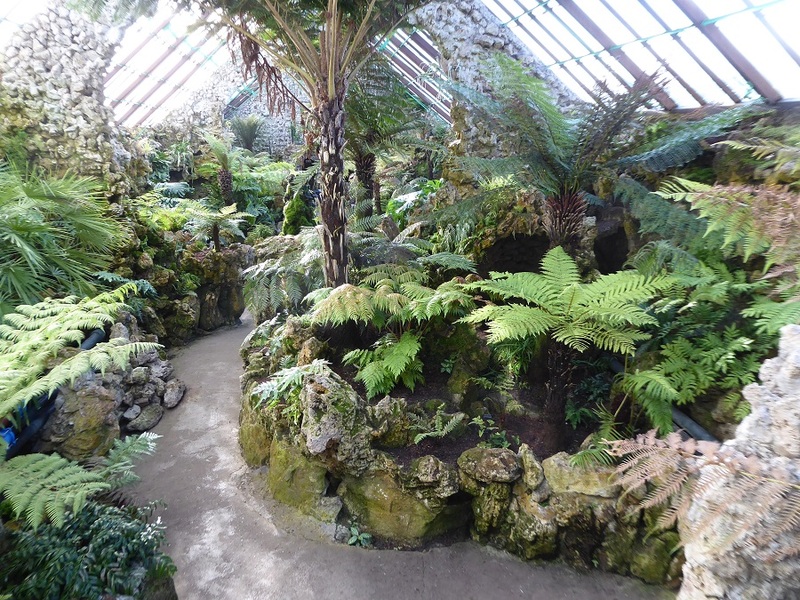 The Fernery will be open on Sunday 18th November, so that people from all over the country attending the BPS indoor meeting at the World Museum Liverpool on Saturday 17th will have the opportunity to stay on and visit Southport to see what we have been up to. 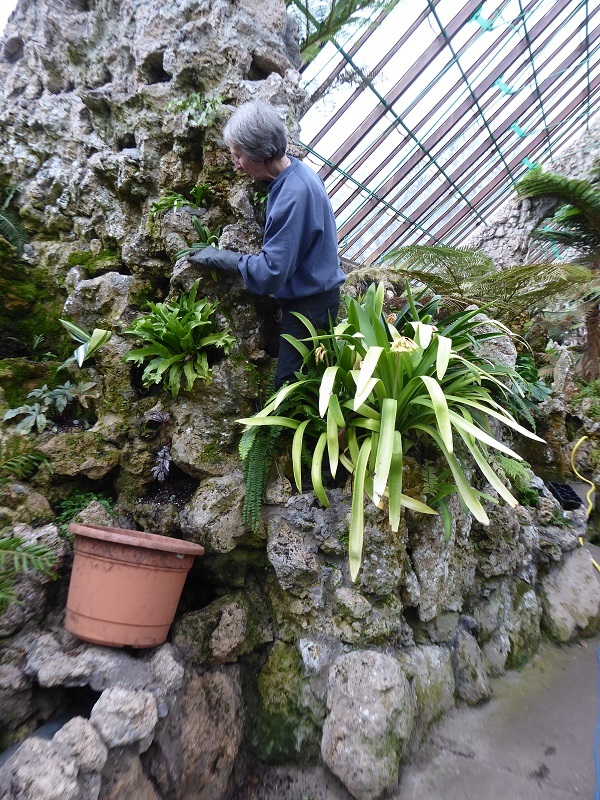 The re-stocking of the Fernery with a wonderful selection of sub-tropical ferns was made possible by the generosity of the Royal Botanic Gardens Edinburgh. 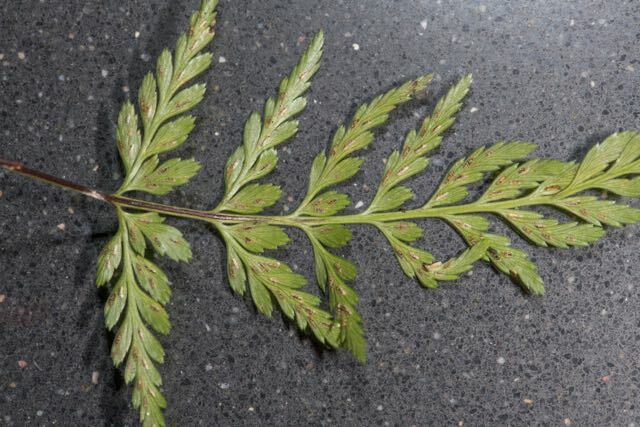 We know that this made a great impression on the judges, so thank you again, RBGE! 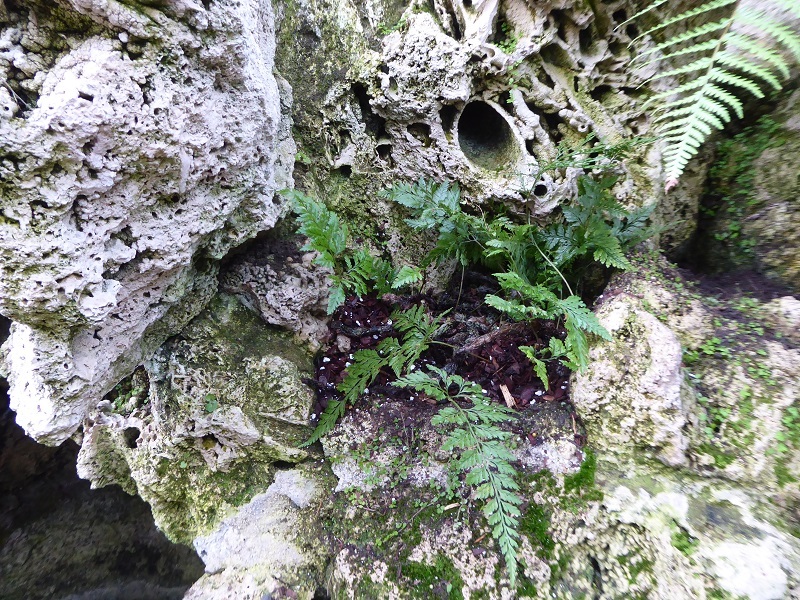 The Fernery looking north from the south viewing platform.